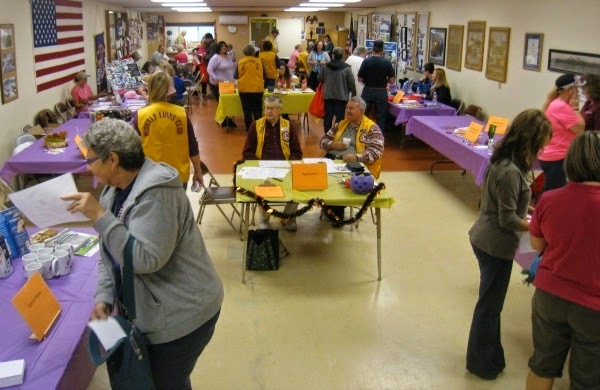 Over 90 people were served at the annual Midvale Lions Club Health Fair. This year’s theme, in keeping with Midvale Lions upcoming 50th Anniversary, was Celebrating Healthy Lifestyles. The Health Fair was held on Saturday October 25th at the Midvale Veterans Hall from 9am-1pm. Midvale Lions served a healthful brunch to vendors and attendees. The Midvale Lions Club has 27 members and meets at the VFW Hall on the first Thursday of the month at 7:00 pm. In addition to sponsoring the annual Health Fair, they sell community calendars, adopt families and collect toys at Christmas, and sponsor the Patriotism Essay Contest. storage unit had been broken into and their Winter Sports equipment had been stolen. will not be able to join other Idaho athletes in Sun Valley on February 28th. The Moscow Rebels may have lost their equipment, but they have not lost their hope. competition gear for State Games. are not allowing it to prevent them from going to State Competitions. crime effects our community it is a loss, but this was a devastating blow for our athletes. equipment, please contact the Moscow Police Department at 208-882-2677. Multiple District 39 will be hosting a Leadership Seminar on March 21 and 22 at the Idaho-E. Oregon Lions Sight and Hearing Foundation in Boise. The seminar is open to any Lion; however, you must submit an application as only 25 Lions will be accepted. What will you learn? Topics include time management, public speaking, team building, Lions protocol, meeting management, communication, and more. Not only will these topics benefit you as a Lion, but in your other endeavors as well. Who couldn't benefit from learning better time management or how to work better with other people on your team? Applications are now available-return to Deanna Rostock ASAP to reserve your spot. You can also find the schedule and instructor list at this link. And did I mention-it's free!